Livestock farming has a vast environmental footprint. It contributes to land and water degradation, biodiversity loss, acid rain, coral reef degeneration and deforestation. Nowhere is this impact more apparent than climate change – livestock farming contributes 18% of human produced greenhouse gas emissions worldwide. This is more than all emissions from ships, planes, trucks, cars and all other transport put together. Climate change alone poses multiple risks to health and well-being through increased risk of extreme weather events – such as floods, droughts and heatwaves – and has been described as the greatest threat to human health in the 21st century. Reducing consumption of animal products is essential if we are to meet global greenhouse gas emissions reduction targets – which are necessary to mitigate the worst effects of climate change. Meat production is highly inefficient – this is particularly true when it comes to red meat. To produce one kilogram of beef requires 25 kilograms of grain – to feed the animal – and roughly 15,000 litres of water. Pork is a little less intensive and chicken less still. The scale of the problem can also be seen in land use: around 30% of the earth’s land surface is currently used for livestock farming. Since food, water and land are scarce in many parts of the world, this represents an inefficient use of resources. Feeding grain to livestock increases global demand and drives up grain prices, making it harder for the world’s poor to feed themselves. Grain could instead be used to feed people, and water used to irrigate crops. If all grain were fed to humans instead of animals, we could feed an extra 3.5 billion people. In short, industrial livestock farming is not only inefficient but also not equitable. Livestock production may have a bigger impact on the planet than anything else. Industrial livestock farming falls well short of this minimal standard. Most meat, dairy and eggs are produced in ways that largely or completely ignore animal welfare – failing to provide sufficient space to move around, contact with other animals, and access to the outdoors. In short, industrial farming causes animals to suffer without good justification. 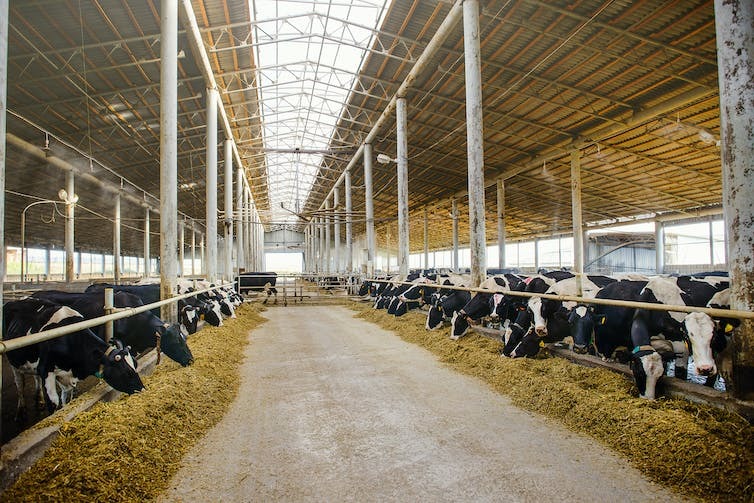 At the production level, industrial livestock farming relies heavily on antibiotic use to accelerate weight gain and control infection – in the US, 80% of all antibiotics are consumed by the livestock industry. This contributes to the growing public health problem of antibiotic resistance. Already, more than 23,000 people are estimated to die every year in the US alone from resistant bacteria. As this figure continues to rise, it becomes hard to overstate the threat of this emerging crisis. 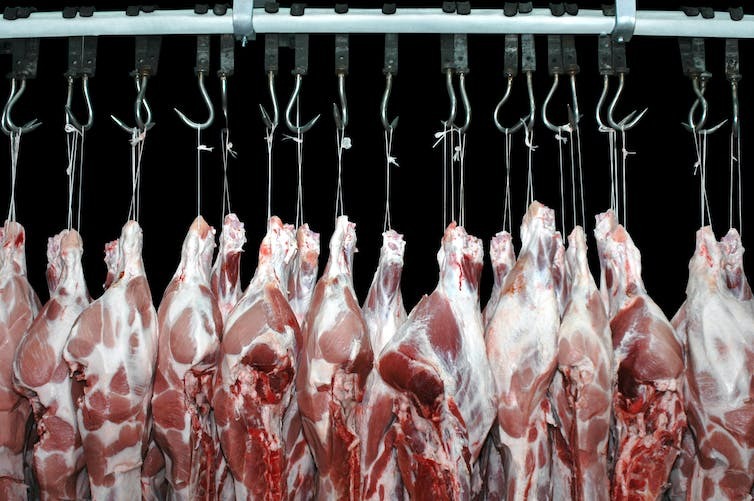 The meat industry also poses a threat to global food security. 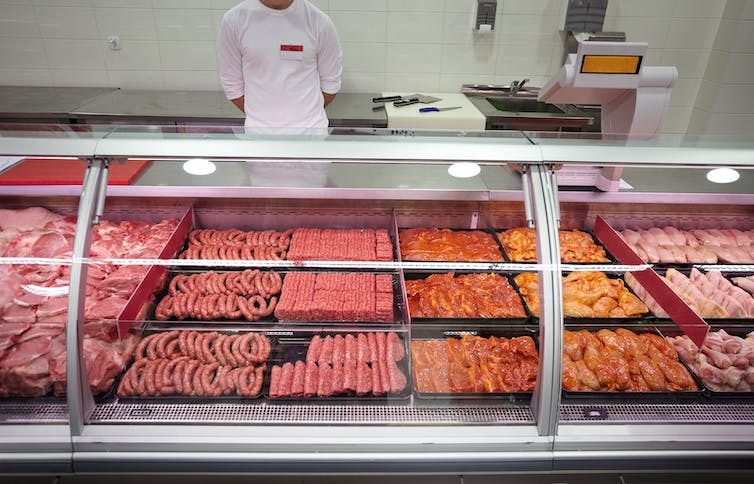 High meat consumption – especially of red and processed meat – typical of most rich industrialised countries is linked with poor health outcomes, including heart disease, stroke, diabetes and various cancers. These diseases represent a major portion of the global disease burden so reducing consumption could offer substantial public health benefits. 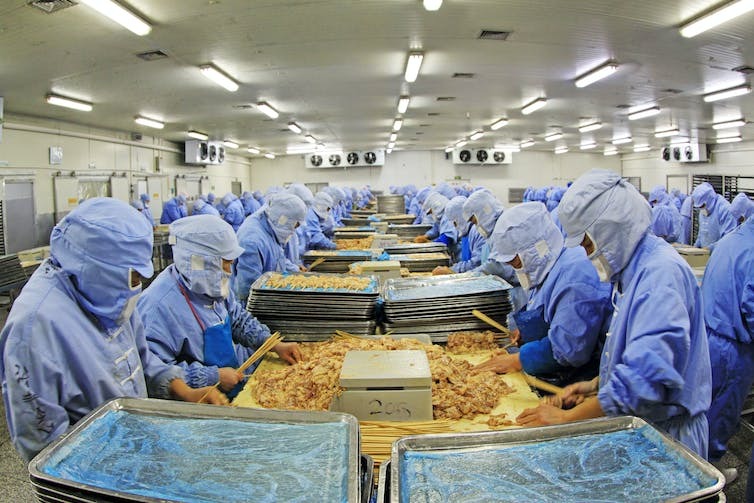 Currently, the average meat intake for someone living in a high-income country is 200-250g a day, far higher than the 80-90g recommended by the United Nations. Switching to a more plant-based diet could save up to 8m lives a year worldwide by 2050 and lead to healthcare related savings and avoided climate change damages of up to $1.5 trillion. Most people agree that as a basic rule an action that promotes the overall happiness of others is morally good, while an action that causes harm or suffering without good justification is morally wrong. Meat eating is wrong not because there is something special about pigs or chickens or dogs or cats, but because of the harm it causes, whether that harm is caused to animals, humans, or the wider environment. 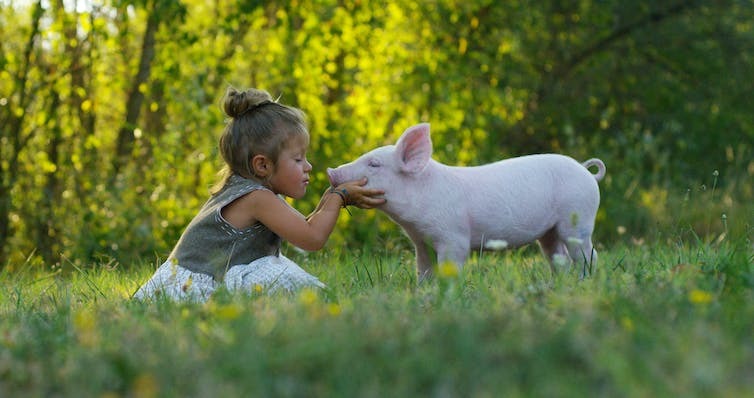 Love animals, don’t eat them. Most people living in industrialised countries have historically unprecedented dietary choice. And if our nutritional needs can now be met by consuming foods that are less harmful, then we ought to choose these over foods that are known to cause more harm. Eating less meat and animal products is one of the easiest things we can do to live more ethically. Actually you can stabilise the climate by stabilising the methane emissions from livestock. This is different from CO2 emissions, where we have to get to net zero emissions. Methane emissions are essentially a flow pollutant and CO2 a stock pollutant – and the usual way we compare them unhelpfully blurs this important distinction. So in theory the climate component of the argument could be dealt with by stabilising agriculture, rather than reducing it.